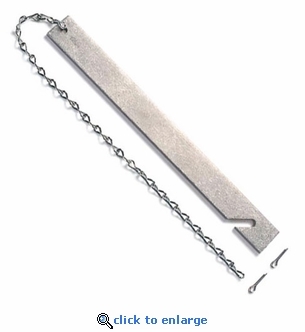 This fire extinguisher break glass striker bar comes with a 13" chain to attach to the extinguisher cabinet. This metal striker bar is ideal for emergency use to break glass or acrylic window panel on fire extinguisher cabinets. Breaker bar for glass or plastic fire extinguisher cabinets.